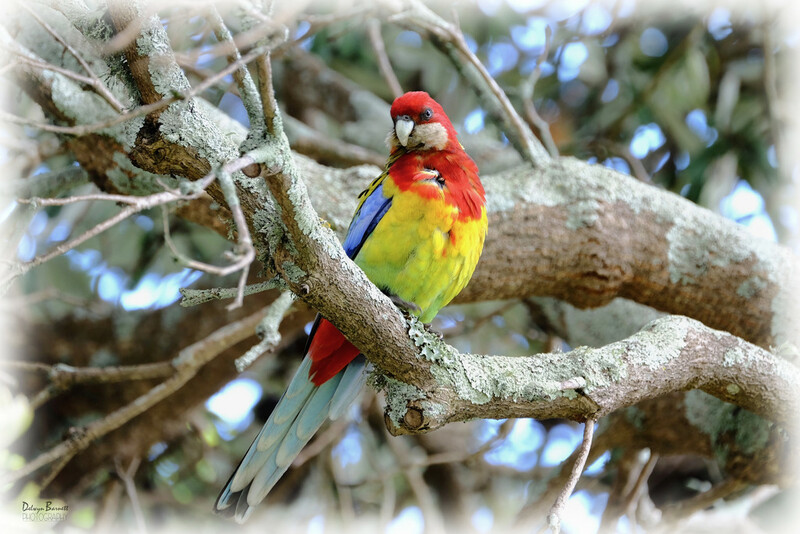 We welcome our Australian visitors, especially when as colourful as this one. I think this is a rosella. I saw him fly into this tree and he was good enough to sit there for a while for me. Beauty! I love the colors. What is he doing over the ditch ???? This is beautiful .. well captured ! Such bright colours ..a favourite. Gorgeous shot - and the rosellas at home are usually so unpredictable that they are hard to catch. So doubly good!